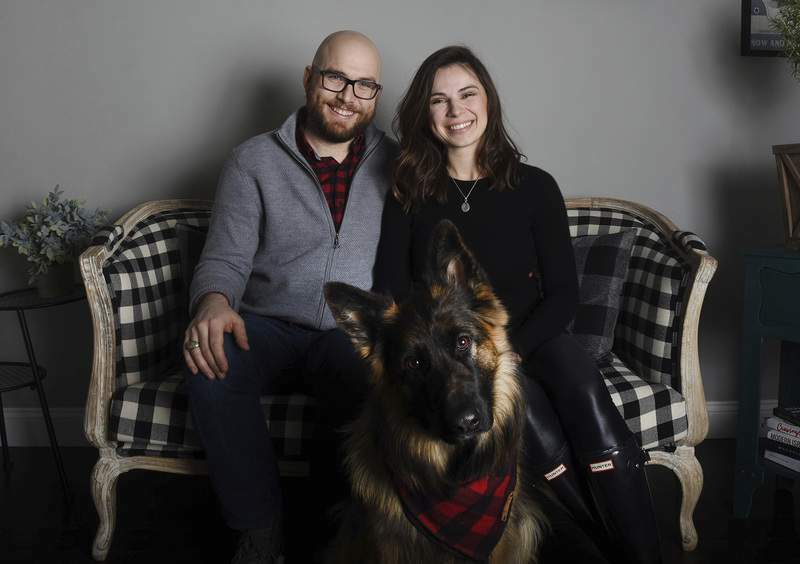 Photos by Rachel Von | The Journal Gazette After living in California, Canterbury graduate McLean Karr and his wife, Tatjana Karr, along with German shepherd Grizzie, decided to change things up and move to Fort Wayne a year ago. 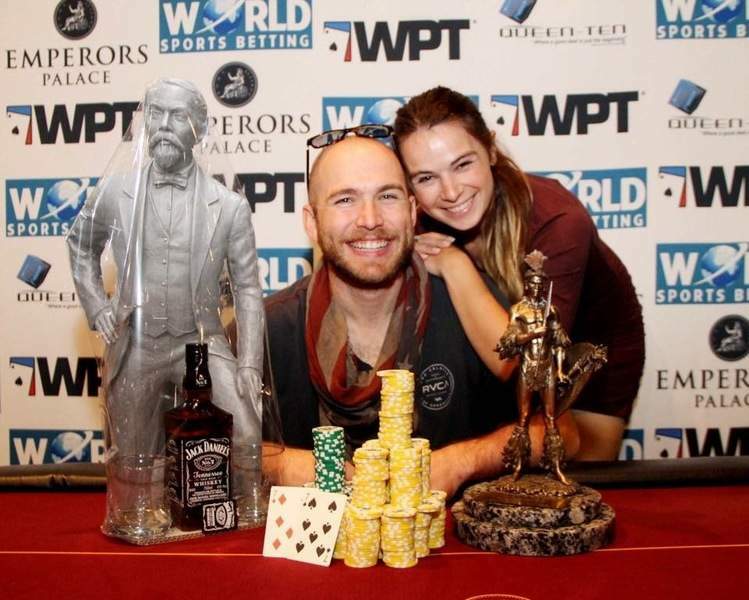 McLean has his trophies from wins on the World Series of Poker tour, where he met Tatjana, who was working as a presenter and producer. Courtesy McLean and Tatjana Karr met on the World Series of Poker Tour, where McLean was a player and Tatjana was a reporter. Rachel Von | The Journal Gazette Tatjana, a Croatia native, is currently working to become a U.S. citizen. She applied months ago and hopes her paperwork will go through by this spring. Rachel Von | The Journal Gazette McLean Karr, right, and Tatjana Karr spend time together in their home on Tuesday January 15, 2018. The couple met while being on the world poker circuit and now Tatjana works at Joseph Decuis and is hoping to become a naturalized citizen. 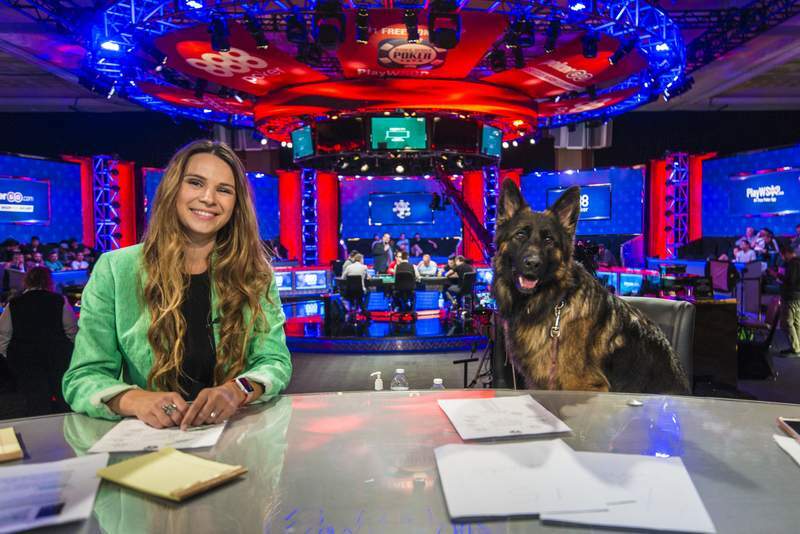 Courtesy Tatjana Pasalic Karr and her dog Grizzie at the World Series of Poker where Tatjana was a sideline reporter for the World Poker Tour. McLean and Tatjana Karr are gracious hosts. Greeted at the door of their southwest home by Grizzie, a lovable German shepherd with a dark muzzle and golden coat, guests are escorted through the foyer to a living room with tall ceilings and a white brick fireplace. There are wine glasses and a plate of cured meats, cheeses and dried fruit on the coffee table. Tatjana encourages everyone to sit and nearly apologizes for the size of the table in the room. It's too small, she says, purchased when she and her husband lived in California. It's been a year since McLean and Tatjana moved into the home, which they purchased sight unseen, and they are slowly decorating each room and making it their own. A Christmas tree, sitting in the corner of the room, is decorated with ribbons, pine cones and silver and white ornaments. For the couple who have lived and traveled all over the world, space has always been at a premium. But, maybe for the first time, they now have it here in Indiana. And so it is almost with unexpected enthusiasm that they are building a life in Fort Wayne. McLean Karr was not the kind of guy that Tatjana, whose maiden name is Pasalic, would typically date. She was a sideline reporter for the World Series of Poker Tour, and he was a high-stakes professional player. And it was her rule not to date the players. But there was something about McLean. Maybe it was his American accent or his smile, or it could have been the fact that he played soccer in high school. But Tatjana, who was raised in Croatia, found herself falling for the Fort Wayne native and Canterbury High School graduate. Their first date was in Madrid, where they shared small plates at a tapas restaurant. And she dreamed of coming to the United States. But it always seemed so far away, so expensive. But five years ago, after McLean took a more permanent job with the World Poker Tour, the couple moved to the United States. She got to go to Santa Barbara, California, and Dallas – each time calling her mom, who still lives in Croatia. The places that they had seen on TV were real. “Be careful what you wish for because you might get it,” Tatjana warns with a wry smile. She had wanted the job with the World Poker Tour, and she had gotten it. Growing up in Croatia, all she wanted to do was work on a farm. And when she and McLean were married and eventually moved to Fort Wayne, she knew that farm was Joseph Decuis. From that day on, she made it her goal to work for the family. Tatjana stayed in contact with Alice Eshelman, who owns Joseph Decuis with her husband, Pete, and brother-in-law Tim. She would email to inquire about job opportunities and what ideas she had for the Roanoke business, which includes the acclaimed restaurant, Emporium, farm and farmstead. And while the Eshelmans didn't have an immediate opening for her, they took a chance and hired Tatjana. Tatjana started working in the restaurant, hosting on a weekend night to become acquainted with the business. “Pete showed up,” she says, and the rest is kind of history. Pete Eshelman took Tatjana out of the restaurant and used her skill set to work on special events, help with the National Wagyu Association and contribute to Joseph Decuis' social media presence. “She was able to contribute at a higher level,” McLean says. Most days, she arrives about 9 p.m. at the Joseph Decuis farm, with Grizzie as her assistant. She might help Pete Eshelman with a special project or help a bride with a wedding. There are other events, too, like specialty dinners at the restaurant and the upcoming Oyster Week in February and Devour Decuis in March. She and Grizzie might take a walk to visit the celebrated Wagyu cattle that are raised on the 200 acres. “Just as I came ... it all came together. I helped out,” Tatjana says. “It's a fun job. Sometimes, it's difficult when you are working” long hours on the weekends. It was always in their long-term plan to move to Fort Wayne, McLean says. In the fall of 2017, the couple was living in Irvine, California. 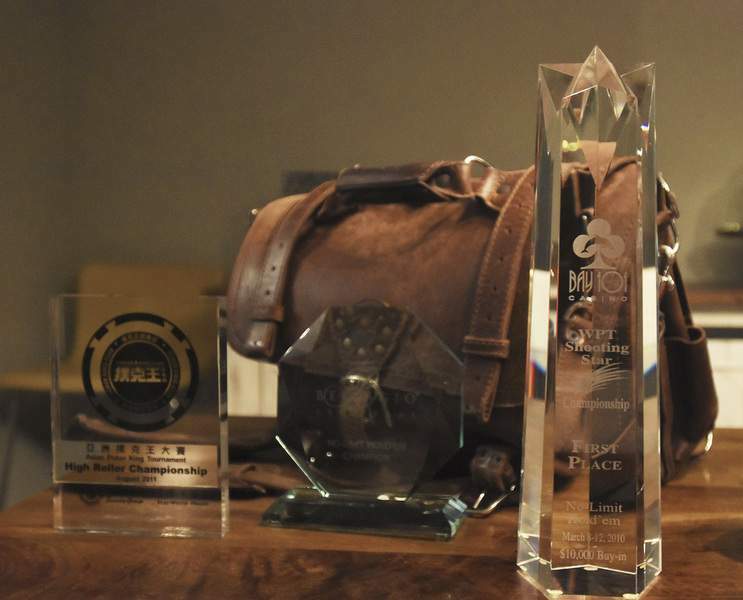 He was working as a business intelligence analyst for the Poker Tour. She was working as a presenter and producer for the World Series of Poker. McLean was commuting up to an hour to work, and Tatjana was leaving for months at a time to cover events. So when Franklin Electric, which is based in Fort Wayne, had a posting that looked interesting, McLean applied – and got an offer. “Within a couple weeks, we had a whole new life planned,” he says. While the move and job changes have been an adjustment, the couple is settling in. In California, there were more options to go out and more diverse environments. But in Indiana, there is space to enjoy the company of friends and family. Over the past year, Tatjana and McLean have enjoyed a standing dinner date on Tuesdays with his parents. 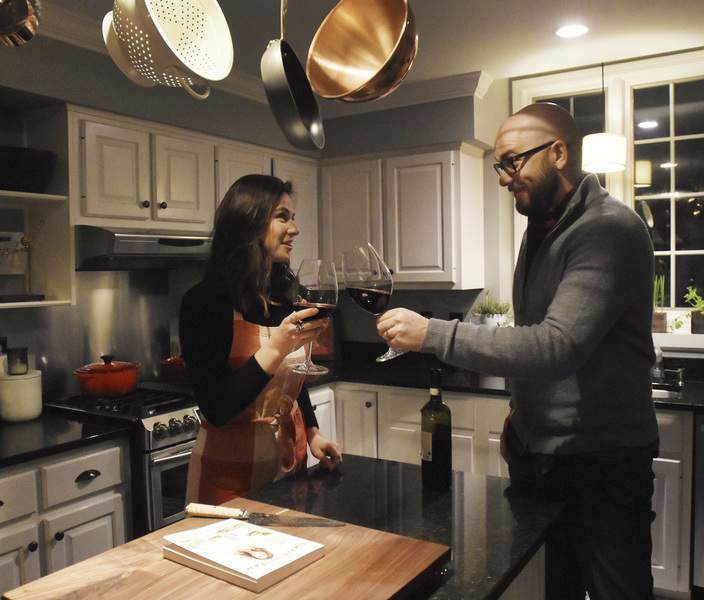 The couples have alternated hosting and cooked their way through cookbooks, pairing meals such as shrimp and grits with a nice wine. Tatjana, an accomplished cook who ran a business providing meals to participants on the poker tour, relishes preparing the dinners and spending time with her in-laws, whom she also considers friends. Tatjana will source specialty ingredients from the web – “Amazon delivers in a day or two,” she laughs – or grow them in their backyard garden. 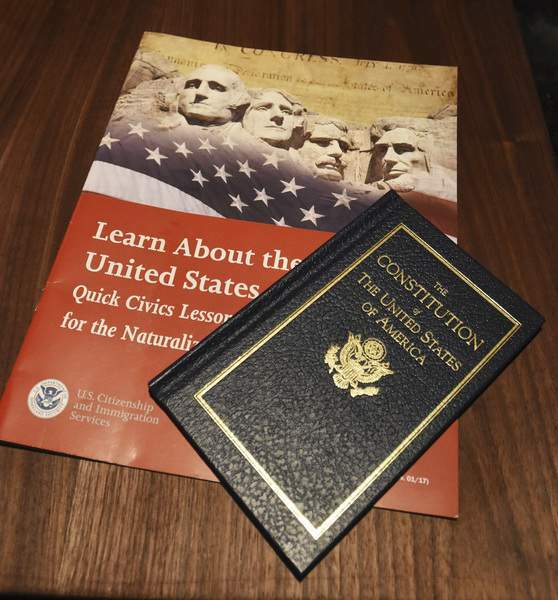 Now that the couple feels settled, she's taking the next step – pursuing citizenship. “It's pretty wild to me that 10 to 15 years later that I'm becoming American,” Tatjana says. She applied a few months ago, and the process – which includes filling out forms, paying a fee and a “truckload of paperwork” – can take six months to a year. But she's OK with that, she says, and is hopeful that the paperwork will go through by spring. While the couple still plans to travel a bit in their free time, McLean says he feels like he's seen the world. He doesn't have the desire to visit other places the way he once did. Instead, they look forward to nights by the fire, bike rides on the Greenway and getting involved in the community they now call home.